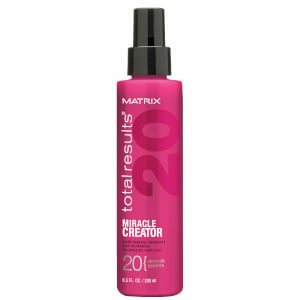 Pump up the volume with the Full Density Conditioner from Matrix Biolage. Fortified with a hydrating blend of Biotin, Zinc PCA and Gluco-Omega to deeply nourish and thicken each strand from root to tip, the weightless conditioning formula leaves you with full-bodied, luscious locks. Ideal for fine, flat and thin hair, its body-boosting blend reduces breakage and inspires healthy-looking, radiant hair with every use. E.N. After shampooing, massage into wet hair and leave for 1-3 minutes. Rinse. Works so well with Full Density Shampoo. Bought for Mum to use in conjunction with the shampoo. Her hair looks and feels thicker. Even her hairdresser is impressed.